With the release of the vCloud Director 5.1, a series of networking enhancements to how Organization vDC communicate have been made. This gives Organizations (Tenants) a lot more choice in creating their vApps and even allows connectivity with other Organizations (Tenants). vCloud Network and Security (vCNS) now provides a Gateway which was previously known as the vShield Edge Gateway. In previous releases of vCloud Director, the vCNS Gateway providing network services and security was not visible to the Organization (Tenant) in vCloud Director. The newer vCNS Gateway has become a first-class entity and is available thru the vCloud Director user interface. The vCNS Gateway has new capabilities, and now provides up to 10 interfaces to external networks. These interfaces can have IP addresses assigned, they can rate control the limit the bandwidth to external networks. The vCNS Gateway provides DHCP service, Firewall rules with 5-tuples, NAT using both Source (SNAT) and Destination (DNAT) rules, Static Routing, VPN Endpoint with support for multiple subnets (spoke design) and Load Balancing services. The vCNS Gateway (when used with the vCNS Advanced license) even provides High-Availability. This means a 2nd instance of the Edge Gateway is deployed and it’s settings are synchronized with the first one. When deploying a vCNS Edge Gateway, you can select between two versions, the “Compact” and the “Full”. The “Full” version can provide higher throughput than it’s smaller brother, but it also consumes more resources. The “Full” is also referenced as the “Large” version from within the vShield Manager 5.1 appliance. And there is even a larger version of the Edge Gateway, the “X-Large” version. 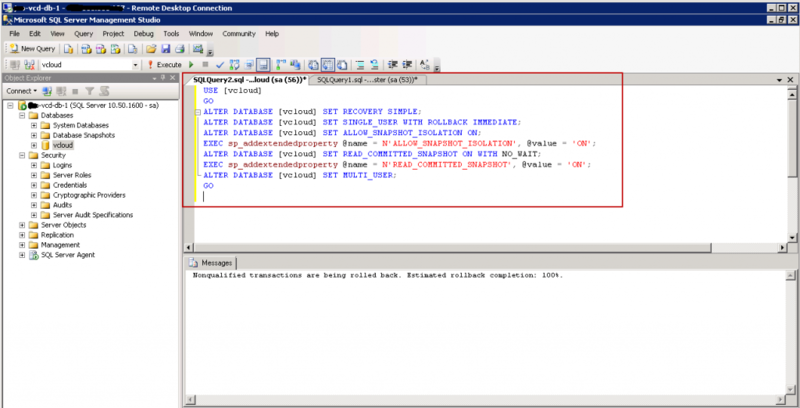 This version is not visible from within vCloud Director user interface. 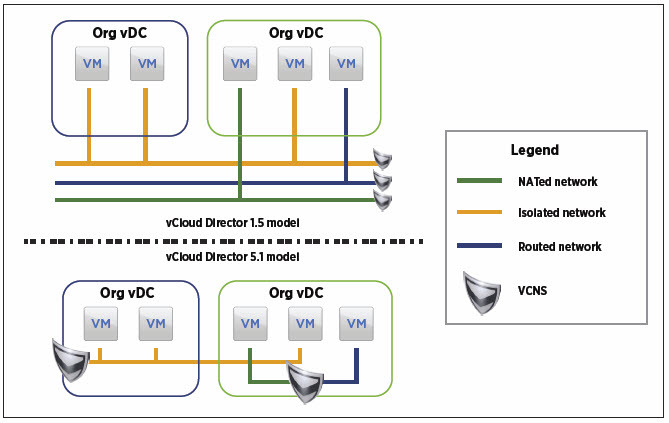 So how could a vCloud Director Administrator change the size of a vCNS EdgeGateway ? Well he can using the vShield Manager 5.1 user interface. Converting the EdgeGateway to Compact, Large or X-Large is very easy. Select the size, and it will re-deploy a new vCNS EdgeGateway. It first renames the old vCNS EdgeGateway to Redeploying-edge-5-0, then it instanciates the new vCNS EdgeGateway, start the new instance, transfers the settings and switches over, and removes the older version. Because the X-Large Edge Gateway consumes some serious resources (2 vCPU and 8GB of memory), it seems fair that this operation is not available within vCloud Director, but requires the validation and modification to be done by the vShield Manager Administrator. With the release of vCloud Director 1.5.1 last night, the operating system for the vCloud Director Cell now supports Red Hat Enterprise Linux 5.7 (x86_64). If you are running your current cell with Red Hat Enterprise Linux 5.6, and you want to upgrade to the most recent release that is supported, here are the steps. Yet, you have to be careful not to upgrade to Red Hat Enterprise Linux 5.8, which as been release the 21st February 2012. RHEL 5.8 is not on the official supported list by VMware. 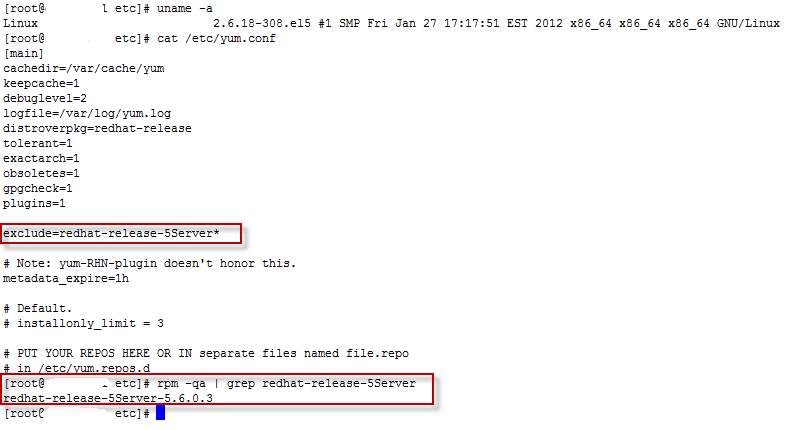 In the following screenshots we will use the yum update tool to make sure we upgrade to RHEL 5.7 only. The first screenshot shows the current kernel 2.6.18-308.el5 for RHEL 5.6, and the configuration of the yum.conf file that has an explicit exclude=redhat-release-5Server* rule. We also see that we now have the redhat-release-5Server-5.6.0.3. 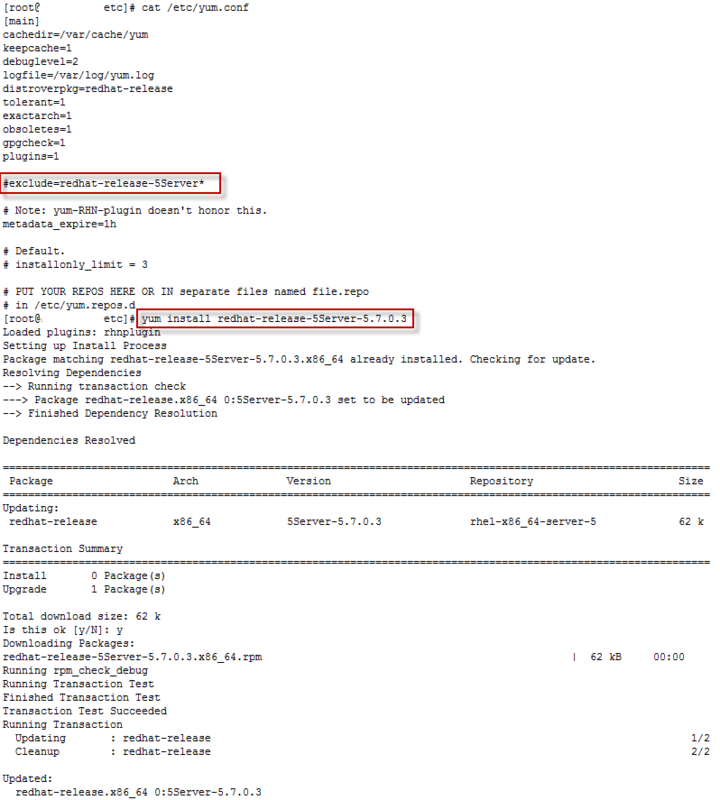 The VMware vCloud Director 1.5 runs on the Red Hat Enterprise Linux 5.6 platform. It is supported by VMware only on version 5.6 of the Red Hat Enterprise Linux. If you are not careful and try to patch the operating system on the vCloud Director 1.5 system, you could find yourself with a RHEL 5.7 or RHEL 5.8 Release, which would cause vCloud Director to break. 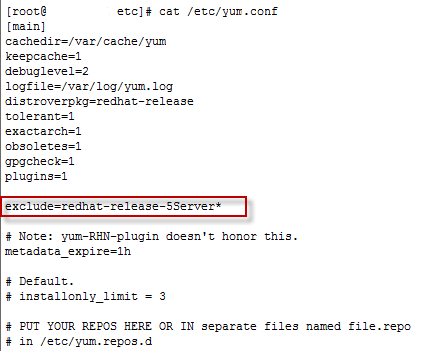 To ensure that your vCloud Director 1.5 stays on the Red Hat Enterprise Linux 5.6 Release and only download patches for the operating system, we need to add a single line to the /etc/yum.conf file. 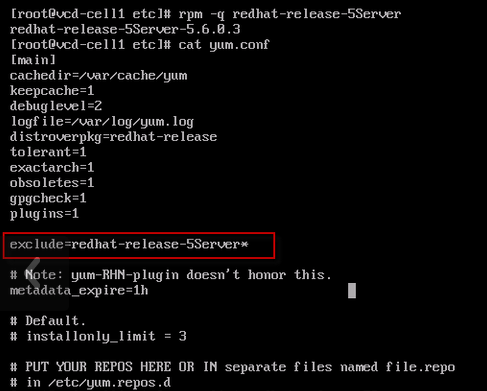 This will exclude all newer Red Hat Releases from getting installed by yum & the Red Hat Network. I hope this will save you so unneeded trouble. 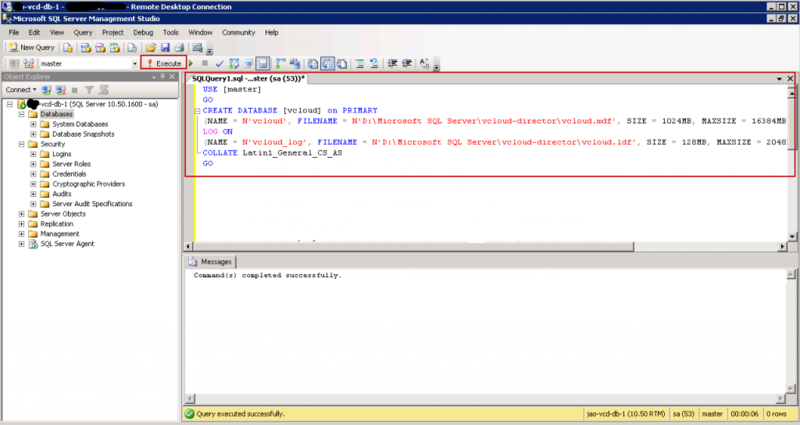 In the past few weeks I have had to reinstall and clean up the vCloud Director 1.5 database on SQL Server 2008 R2. 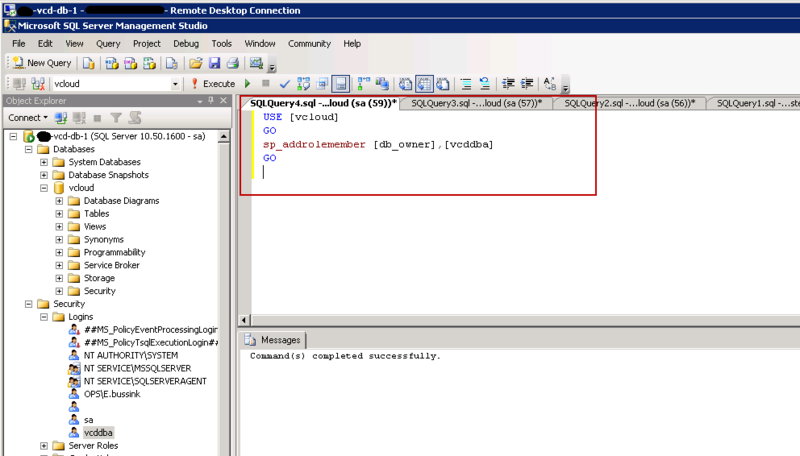 After a few times doing it using the SQL Server Management Studio GUI, I decided to automated it using four simple Transact-SQL scripts, so it would save me time and make it less error prone, and to better document it. 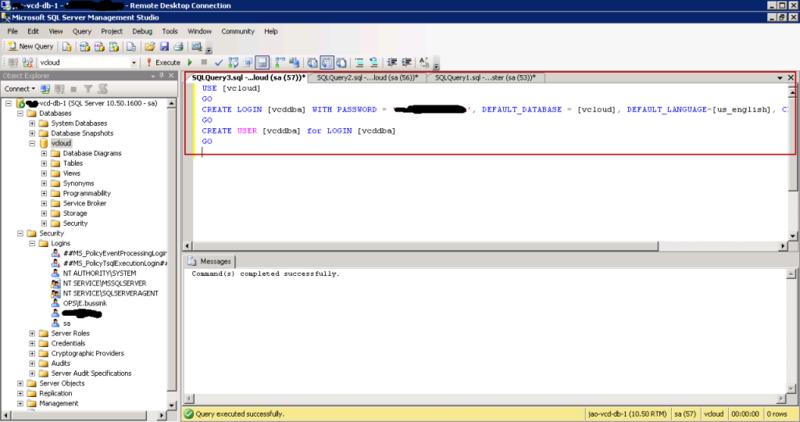 I did modify the Transact-SQL part for the ALTER Database section, and I’m using a Simple Recovery mode for my database. This is the step 4 on Page 17 for the vCloud Director 1.5 Installation and Configuration Guide. My modified version with the database in Simple Recovery mode.